Diverse tales, diverse characters. Sometimes intertwining. There is Salma, facing a spiritual crisis in a country steeped in dogma; Hussam - a billionaire’s son who tries but fails to conceal his gay relationship; Mohammed, a bigamist, grasping tightly to antiquated patriarchal ideals at the expense of his love life; Mike, who adopts cultural appropriation to provide him with a stable foundation when his world collapses; and the remaining characters, one per chapter, revealing the impact of collective thought matrices on the individual and vice versa. 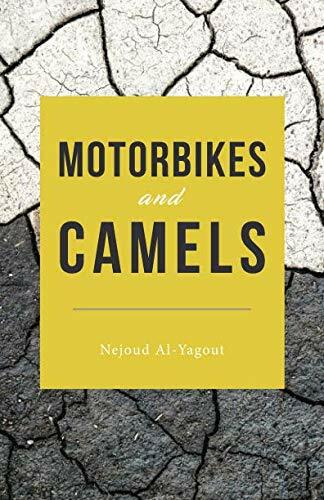 Motorbikes and Camels is a timely book that begs the question, offered to the reader by author Al-Yagout, via one of the protagonists, Zayna: Am I who I am because of my culture? Thirteen lives, all interconnected (whether they know it or not), are about to be altered for good. Aisha just found out her incredibly rich husband is gay, while Salma is realizing her husband isn’t the man she thought he was. Meanwhile, Mike and Meshary are both stuck on a girl that left them and broke their hearts, but while one wants her back and is doing everything he can to prove he’s good enough for her, the other claims to have moved on but truly seeks revenge. Everyone wants something they can’t have, but some are willing to go further than others to get it. A story in which the phrase "through the eyes of the beholder" could not be more apt, Motorbikes and Camels is a short novel that would be enjoyed by readers with a liking for realistic fiction, romance, and culture.